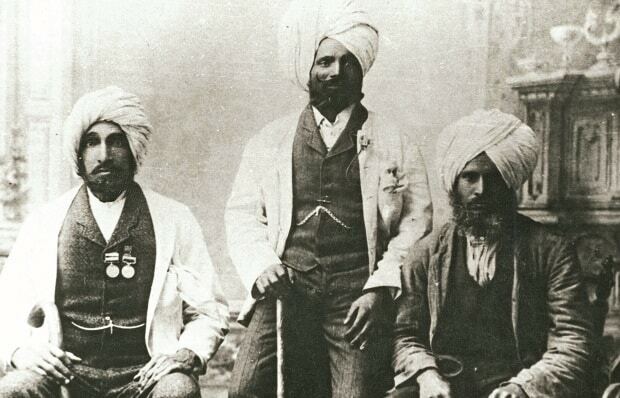 India may have turned 70, but the celebrations here in Australia may have had you thinking it was a gala 21st. Bollywood stars came down as guests, city landmarks were lit up in tricolour splendour, and mainstream celebs rocked up in all their sari-sherwani glory. The highlight of course was Aishwarya Rai Bachchan at Melbourne’s landmark Federation Square. As main guest of the Indian Film Festival of Melbourne, she unfurled the flag and covered the jam-packed venue in confetti orange, white and green. She saluted the tiranga and sang the national anthem, and minutes after she addressed the crowds, photos and videos began to go viral. Of course there was a bit of drama to it all, but she delivered: no one could take their eyes off her. Nobody seemed to mind that she was an hour late – if you look closely at her elaborate hairdo and her princess ensemble you’ll know why – but hey, Indian crowds will forgive their beloved Bollywood stars any misdemeanour. And this particular one, had made Independence Day rather special. Meanwhile in Brisbane, two city landmarks donned Indian colours on 15 August. 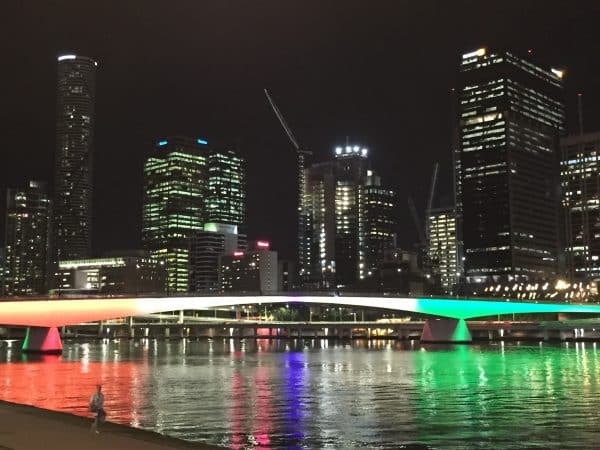 The Brisbane City Council chose Victoria Bridge and City Hall to wish India on the grand occasion. It was a special event organised by GOPIO Queensland (Global Organisation of People of Indian Origin), and one that we hope becomes an annual event. 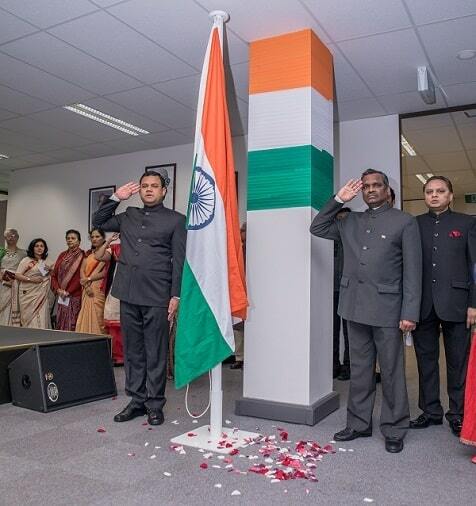 The Consulates in Sydney, Melbourne and Perth organised their own events of flag hoisting in the morning. 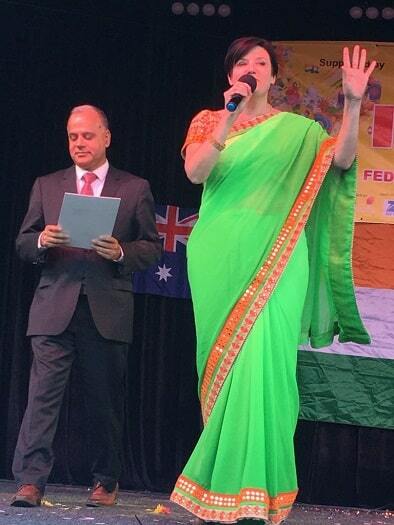 Consul General Amit Kumar at the Independence Day celebrations at the Consulate General of India, Perth. A highlight of this annual event is the reading out of the message to the nation by the President of India. This time round, Ram Nath Kovind, the newly-elected head of state, called for a compassionate and egalitarian society that does not discriminate on gender or religious background. 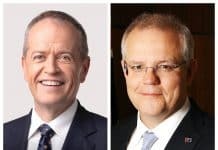 The President’s message, indeed other messages such as those from Australian Prime Minister Malcolm Turnbull, and Australian High Commissioner in India Harinder Sidhu, have since been doing the rounds on social media. 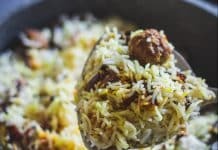 This year, as special events to celebrate ‘India @ 70’, the Consulates in Sydney, Melbourne and Perth hosted cocktail events for friends of India. 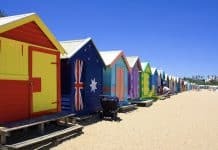 In Perth, Consul General Amit Kumar Mishra managed to rope in both the Governor of WA Kerry Sanderson and Premier Mark McGowan, amongst other high-ranking guests. At the community level in Sydney, two events have marked the occasion, with a third one coming up this weekend. 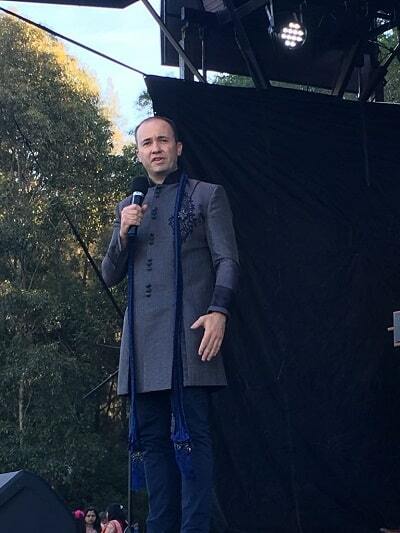 The Federation of Australian Indians (FIAN) welcomed the community at a day-long India Day in Parramatta Park. 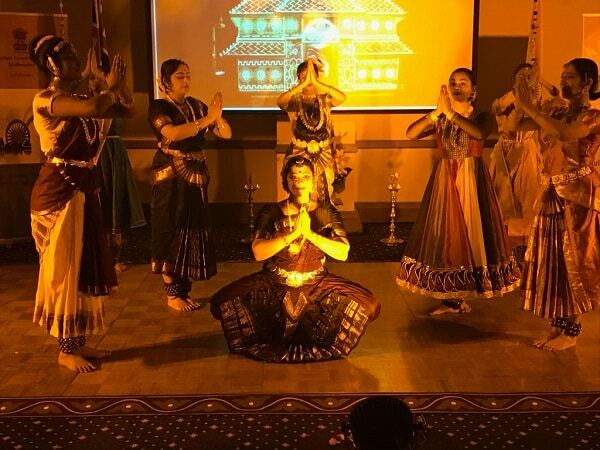 On the same day, the Council of Indian Australians (CIA) organised a formal India Day Dinner. Both events saw many politicians attending, most of them in Indian attire. The women especially put community ladies to shame with their glamorous saris and the ease with which they wore them. MPs Jodi McKay and Julie Finn, who attended both events, made an impressive dash back home for a change of costume – hats off, ladies! NSW Premier Gladys Berejiklian brought out her own dignified silk number for the CIA event. The men loved playing dress-ups too, MPs Matt Kean and Geoff Lee looking dapper in their sherwanis. Great to see this reverse assimilation, especially as there is evidence of increasing polarisation all around us. And if small celebrations of India’s Independence Day – so far removed from India – can do this, then indeed, that in itself is worth celebrating.